The ReWalk was invented by Israeli entrepreneur Amit Goffer, who was paralyzed in an accident in 1997. Several competing products that use similar technology — nicknamed "electronic legs" — are also being tested in U.S. rehab hospitals. Former Army Sgt. 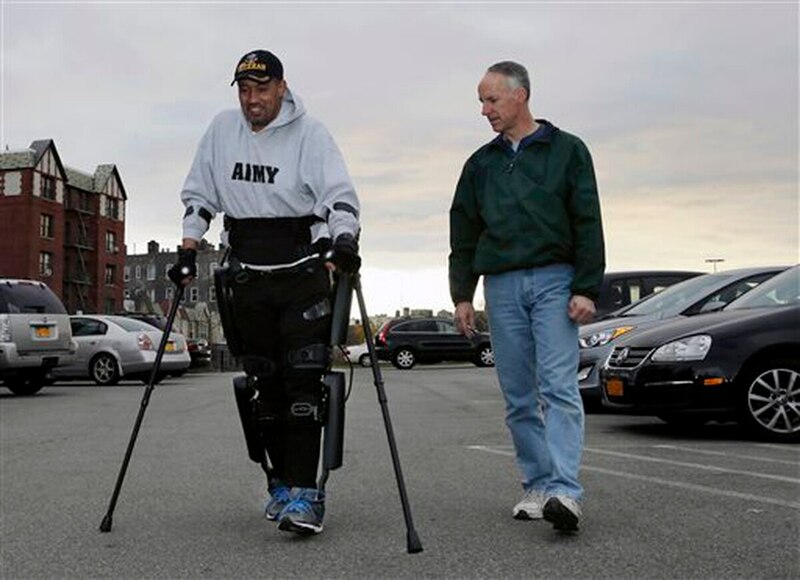 Terry Hannigan, a 62-year-old paralyzed Vietnam veteran, was the first veteran to get the robotic legs as part of a system test. She uses them to walk through the mall and shop at the grocery store. "It definitely is a show stopper, especially in the mall with kids. Some say things like 'Wow, look at Robocop!' " They ask a lot of questions, but I don't mind," Hannigan said.